Carmelo Cini set up the Lamb Brand factory in the 1930s. Today, Lamb Brand is one of the leading food brands in Malta. From humble origins producing ground pepper, the business grew fast and to meet the production demand, machines were installed to split and polish beans and peas. The lamb logo featured on all our products has been around ever since. It signifies the purity of Lamb Brand’s products. After more than 80 years, three generations of entrepreneurship and traditional know-how, the company, renamed as C. Cini Mfg. Ltd., is still a dynamic family-run business. Its main focus is manufacturing and packaging its own products, Lamb Brand & Vita Natura, and products for exclusive clients who entrust the company to produce high quality private labelling. Due to the fast company growth, the sister company Nature Line Ltd., was set up to exclusively distribute C. Cini Mfg. 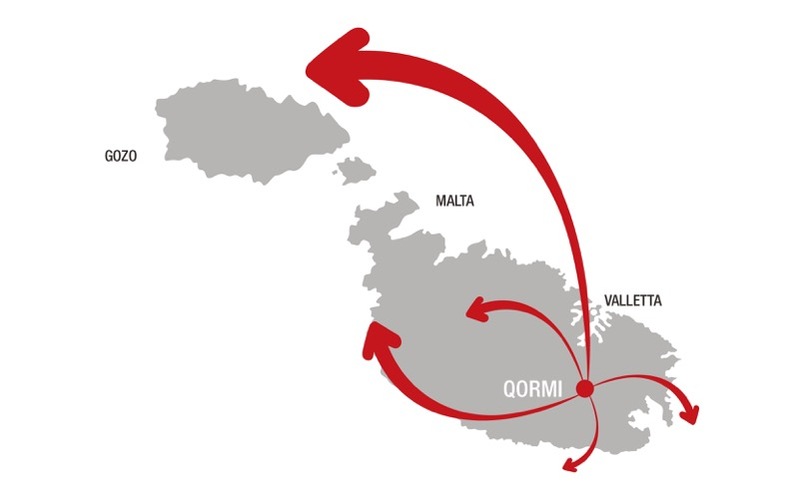 Ltd. products on the Maltese islands. Natureline Ltd. has also become a leading import and distribution company of a wide variety of international leading brands. Together the two companies have taken on the challenging target to expand sales on a wider scale, by investing in new machinery, new packaging systems and re-branding the already established and much respected brand. The Lamb Brand range is wide, varied and ever growing as other additions are always being introduced according to the market needs. On the other hand Vita Natura is still at its early stages where we are discussing projects and setting targets to expand this brand further. We also manage a cook & exchange gift scheme were new gifts are launched from time to time to thank our loyal customers. We look at our future with optimism. Our dynamic team is constantly seeking new suppliers, clients and new markets. The company is keeping a steady growth through the ever increasing list of new products and the upgrading of the already established ones. We invite you to visit our websites www.ccini.com and www.natureline.net and like our Facebook pages www.fb.com/lambbrand and www.fb.com/naturelinemalta as to discover more about our products.